As the popularity of cosmetic breast augmentation has surged in the past decade, so has interest in the psychological aspects of the procedures. A growing literature has investigated the preoperative characteristics of women who seek cosmetic breast augmentation. 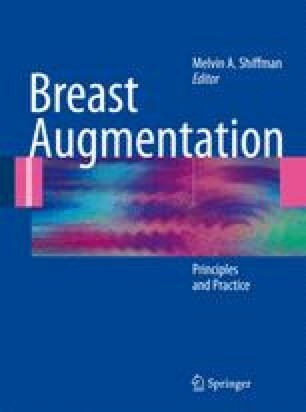 The preoperative psychological assessment of breast augmentation patients should focus on three areas: motivations for and expectations about surgery, physical appearance and body image, and psychiatric history and status. The surgeon should assess the patient as a routine part of the initial consultation. In addition to assessing for body dysmorphic disorder, mood disorders and eating disorders may be overrepresented among women who seek breast augmentation. There has been an association between cosmetic breast implants and subsequent suicides. Breast augmentation candidates who present with a history of psychopathology, or those who are suspected of having some form of psychopathology, should undergo a mental health consultation prior to surgery.